Australian Standard Certified, they feature a photoelectric sensor, hush and test buttons, and there's no need for battery changes. 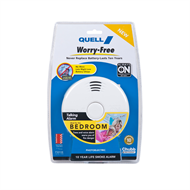 Quell Worry-Free Smoke Alarms are quick and easy to install and come with a 10 year warranty. 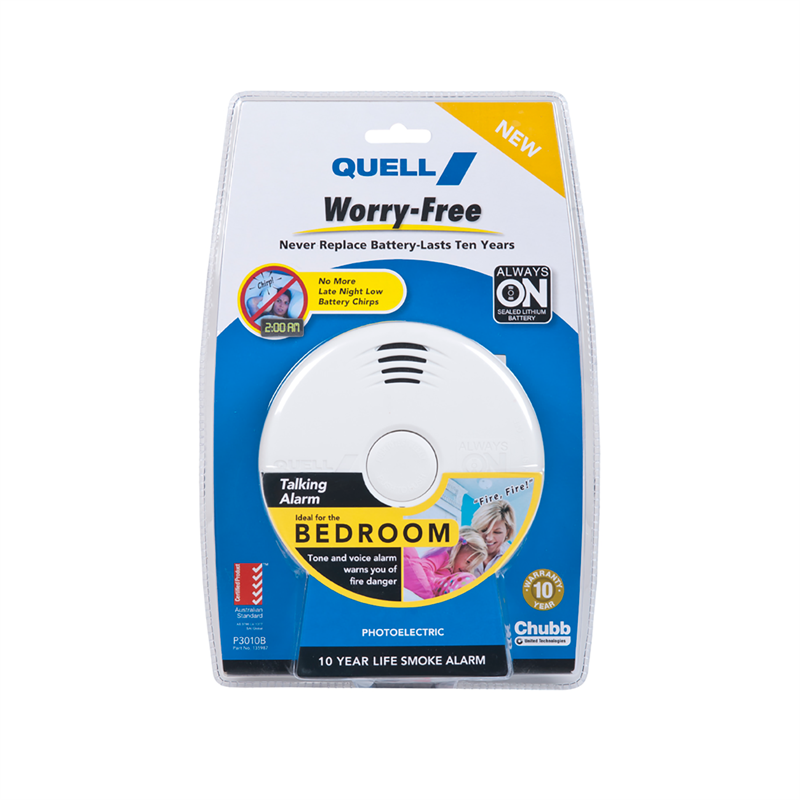 With tone and voice warnings, this alarm improves wakening and is ideal for use in bedrooms.